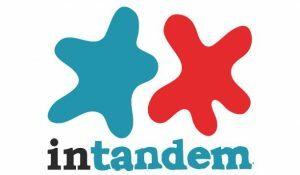 intandem provides mentors for young people aged 8—14 who are looked after by their local authority and living at home. intandem aims to promote the wellbeing of each and every child who is matched with a mentor. The focus in every mentoring relationship will be on developing the child, recognising and building their strengths, and providing support and encouragement to deal with difficult and challenging situations in their lives. Mentoring matches referred young people with an adult volunteer, with whom they can build a supportive and trustworthy relationship. They will usually meet once a week for at least a year to engage in fun activities that encourage them to explore their community. intandem operates an open referral system, i.e. anyone can refer a young person—social workers, teachers, youth workers, parents, carers and young people themselves. The young person agrees with the referral being made. How long before a match? Our matching process is based on factors leading to “best fit”, not on waiting times (although this may influence prioritisation). Due to a high demand for mentors, a young person may be on the waiting list for some time before a match is possible. It takes up to three months to recruit, train and match a mentor. However, currently we have volunteers waiting for a match. Feel free to speak to the intandem Support Worker about the young person you wish to refer. This enables us to answer any questions about the service. Does the young person fit within the referral criteria? If in doubt of these, please seek advice or assistance. Download an intandem Referral Form here. These are also available on request from Volunteer Glasgow and can be provided via post or email. It is important for us to have the young person’s Care Plan at this point. On receipt of a referral we will begin the Assessment process which will enable us to deliver the mentoring service required for each young person. We will keep you informed about progress. intandem is funded by the Scottish Government and delivered nationally by Inspiring Scotland in partnership with 13 charities across Scotland. Volunteer Glasgow is proud to be delivering this service to the South of Glasgow. Volunteer Glasgow is committed to safeguarding the welfare of all children and young people. We recognises our responsibility to take all reasonable steps to promote safe practice and to protect children from harm, risk of harm, abuse and exploitation. We equip all our volunteers with the necessary preparation, training and support so that they may provide this unique and invaluable service to disadvantaged young people. For any further information please contact Volunteer Glasgow and they will be happy to answer any questions.